The Urban Decay x Game of Thrones line is coming. Just like winter, as you may have heard. On Urban Decay, you’ll find a countdown clock to the launch, which goes live at the stroke of midnight, April 14 — the day lots of us have had in our heads anyway. But go ahead and sign up for the notification anyway. One bone to pick though, UD: Where are all the models of color? I’d rather look like Missandei or any of the Sand Snakes any day of the week, over a murderous zombie — even a glamorous, shimmery one. 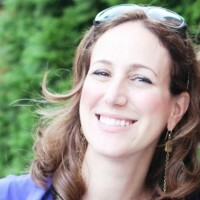 Liz Gumbinner is the Publisher and Editor-in-Chief of the Cool Mom Picks network. This makes her very happy.